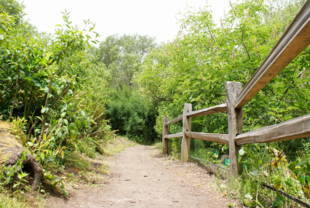 Glen Canyon Park has hiking trails to explore, plus a rec center with several facilities available to the public: two baseball fields, a tennis court, as well as George Christopher Playground. 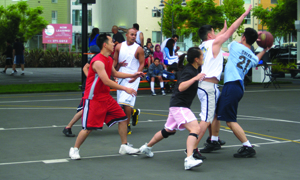 Rec Center phone number is (415) 337-4705. Its colorful past began in the 1850s when, as part of the Rancho San Miguel, Adolph Sutro bought 76 acres, and named it 'Gum Tree Ranch' after the blue gum eucalyptus trees he had planted. The Crocker Real Estate Company bought it in 1889 to develop a neighborhood that would attract homebuyers. Crocker installed a mini-amusement park with an aviary, a mini-zoo--bears, elephants and monkeys, a bowling alley, and, for extra thrills, hot-air balloon rides, and an intrepid tight-rope walker who performed on a wire stretched across the canyon. In 1891, when the Joost Electric Streetcar Company built the Glen Canyon line linking the neighborhood to downtown San Francisco, homebuyers flocked. Fifteen years later the park became a refugee camp for those made homeless by the earthquake and fires of 1906. From 1907-1922, Glen Canyon Park was operated as a picnic ground -- mainly for adults. Crocker Real Estate added tables and benches, a baseball diamond and a running track. It was fenced and rented to organizations for company picnics that often turned into boisterous drinking brawls. Neighborhood children had to find other places to play. 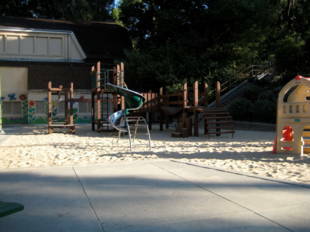 Concerned residents urged the San Francisco Recreation Commission to acquire the property for use as a playground, and in 1922, the city bought the 101 acre Glen Canyon Park and Recreation site. The site's history holds particular interest for Friends of Glen Canyon's Richard Craib. When the WPA (Works Progress Administration) began to construct the Recreation Center in 1937, his grandfather, William 'Bill' Craib Sr. was foreman on the job and his uncle, Bill, Jr. drove the dump truck. The building contains an auditorium, which hosts community meetings, yoga classes and ping pong games, two ball fields, tennis courts and a play area. In succeeding years, the neighborhood has fought off dumping problems and ill-conceived plans like building public housing, widening O'Shaughnessy Boulevard, and flooding the canyon with automobiles bringing children to Silver Day Camp, instead of the buses formerly used. 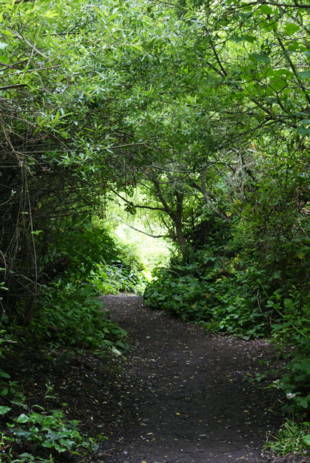 Recognizing the need for continuous leadership, the Friends of Glen Canyon Park group was formed in 1986. 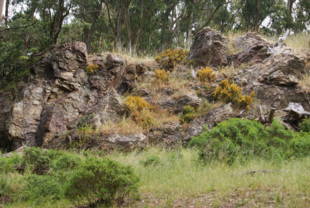 The Recreation and Park Department has declared Glen Canyon one of the city's six 'Significant Natural Resource Areas' (the top category in the department's Natural Areas Program) and the Friends are dedicated to increasing public appreciation of it and to restoring its original vegetation and animal habitat. They involve the Native Plant Society in their restoration efforts, substituting native plants for exotic, invasive species. Currently the Friends are completing their mosquito-abatement campaign with the installation of nine bat houses adjacent to the creek. Like streams and brooks elsewhere, Islais Creek, which begins in Glen Canyon, attracts mosquitoes, known to be standard nourishment for bats. 'Our plan was approved by the California Bat Conservation Fund,' says Friends' Richard Craib, adding that volunteers built the houses according to the Conservation's specifications. Call (415) 337-4705 for more information on activities. The rec center hosts Tiny Tots for children 3 to 5 years old, tumbling for ages 2- to 5-year-olds, organized youth sports such as flag football, basketball, baseball, and softball, table games (ping pong and checkers), women's exercise classes, and senior tennis classes.